No one exceeds the best-in-class warranties that ensure Sunbrella fabrics' superior performance for years. Not only that, but Sunbrella fabrics now provide even greater water repellency than before with no loss of breathability. Of course, they also offer unsurpassed service, durability and color-selection on all interior and exterior fabrics. or let us repair your old! Most boat owners spend many hours cleaning, repairing and upgrading their craft yet few analyse the economics of their hobby. Whilst many an hour can be spent browsing online or in a specialist boating store for parts and boating accessories is the same consideration given to the protection of assets? Boats are assets that are greatly affected by the weather conditions unless an owner can take it completely out of the water and place into dry storage. Crafts are often the poor relation when it comes to protection and this may lead to the necessary replacement of certain parts when a simple programme of care may have extended the life of the parts by several years or reduced required repairs to a bare minimum. All boat owners are required to have insurance to cover liability should an accident occur. Insurance for non-accidental damage is also widely taken up but it is important to note that insurers may stipulate in their terms and conditions, that a vessel is well maintained and cared for and that this can be evidenced. One of the main way that owners protect their boats is to use a boat canvas. What is viewed as ideal in the shop may change dramatically following a period of use and an over stretched tarpaulin may tear and develop holes. 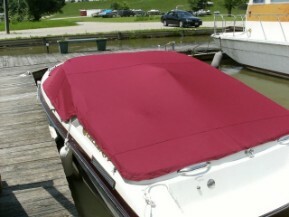 One way of protecting against this is to use boat snap cover extenders which attach the original tarpaulin to a new piece and adds to the surface area of the tarpaulin making it less likely to stretch and become damaged. The boat canvas is often the first form of protection for a vessel and it is essential that the effectiveness of the canvas as a protector for the boat is not eroded significantly over time. 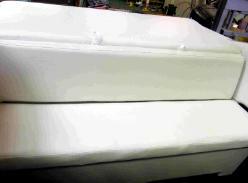 A custom fitted boat canvas is an expensive piece of equipment so if a simple attachment can extend its life for a few more years then it is a worthwhile investment, especially if the original lining is still capable of protecting what is underneath. Another benefit would be to comply with insurance regulations which usually stipulate that reasonable care has been taken by the owner to ensure that the vessel remains well maintained. It is not good practice to put a potential claim in jeopardy through a general lack of care during ownership. The Boat Owners Association Of The United States offers advice on its website for approximately half a million members. Topics covered include buying boats and also safe and clean boating. The Association advises its members to consider carefully when buying a boat because the experience is described by some as one which is consistent with the stress of buying a house. Whilst third party insurance is not likely to be affected by the appearance of a vessel, an adverse appearance will affect the attitude of a general insurance agent towards the craft. After such a lot of work is performed by owners on their boats making sure they are well presented, it is important to emphasise the importance of keeping a boat well maintained. Good appearance is necessary to maximise future resale values and to earn the respect of boating peers at the moorings. Snap cover extenders not only prolong the life of a boat cover, they reduce the need to perform repairs on the boat caused by the elements penetrating the defences of existing covers. Snap cover extenders are cheap to buy, easy to fit and they look tidy when the day is finished and boats are moored up for the evening. A cover that fits adequately will certainly help with the maintenance of the boat and this is likely to maximise resale value and any insurance value of the vessel. A boat is a similar asset to an expensive car and arouses similar passions amongst owners. If greater care can be taken of the vessel the owners will be able to enjoy a more relaxed lifestyle and focus on certain jobs that are essential whilst at home. Boat snap extenders are the perfect way for owners to reduce stress levels because they no longer need to wrestle with the tarpaulin and can explain the importance of running a tidy and well maintained craft. A well maintained vessel will inevitably lead a greater perception of value in the property and should improve any insurance value. With a hobby like boating it is essential to have a tidy, well maintained craft and boat snap extenders are a critical part of that process. 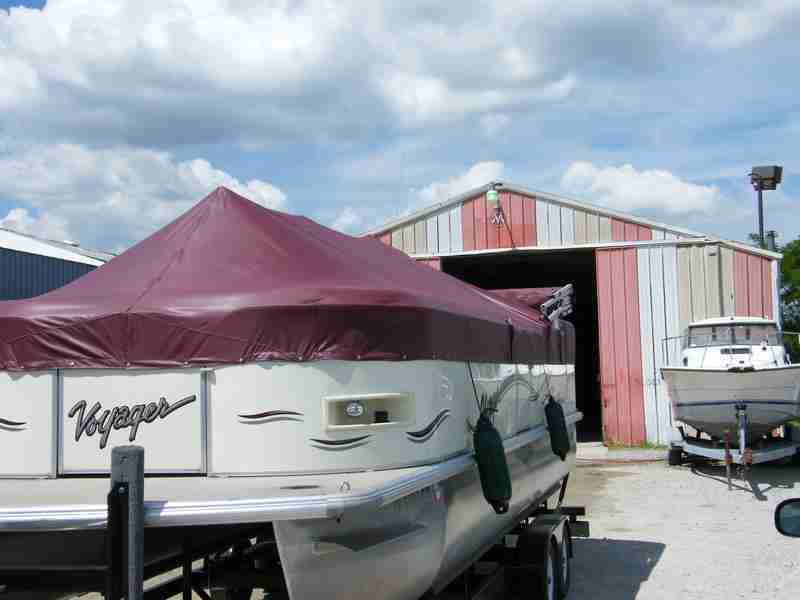 Wild Hair Canvas Shop is a growing business located in the greater Cincinnati Ohio area offering custom boat covers to clients throughout the local area. The company, which is located in Aurora, was set-up in 2007 and has many years experience in the canvas repair business. The company creates a wide range of canvas that are custom and durable. The products feature a choice of colors and patterns, making them perfect for your boat or cushions, and they are available at the shop. CitySlick local ads and coupons. Find Sports and Recreation Deals Deals!